Elmira Rasulova presents now the most disarming face to the world; a quiet matriarchal presence in her family, it was only at a recent gathering to celebrate her 70th birthday that she was nudged a little way into the limelight and we learned about her part in the turbulent times when the Soviet Union began to crumble and her country plucked independence anew from the wreckage while battling with invading Armenia. We all form initial impressions of people and often don’t find the time or take the trouble to dig deeper, so surprise was the least of our responses as a tale unfolded in which mild-mannered Elmira khanim invariably headed for the hotspots of those times to help people caught up in events in a world turned upside down. Ahiska Turks returning from their long, enforced exile in Uzbekistan: she joined an organisation helping them to settle in the north-western regions of Qazakh and Tovuz, far from her Baku home. Azerbaijanis organising an independence movement: she was on the streets when Mikhail Gorbachev sent in the tanks to slaughter protesters on 20 January 1990, then she was in Azadliq (Freedom) Square calling for her country’s independence. 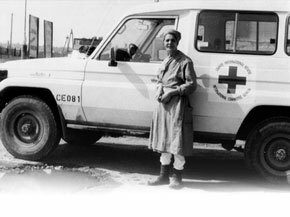 War in Nagorno-Karabakh: in 1991 she went to Baku’s Central Hospital to visit wounded soldiers brought back from the front; the numbers coming in turned her into a volunteer nurse. Her devotion led to 24 hour stays at the hospital, at the expense of her ‘normal’ job as head of requisitions at the Theatre for Young Audiences, and this was to prove a turning point – but not without a few twists along the way. One day her son Dadash was brought in, wounded – he had also been a volunteer, in the defence of Karabakh – he was initially taken to a hospital in Sabunchi, a village on the outskirts of Baku. Elmira khanim asked for him to be transferred so that she could fulfil both family and patriotic duties. This potentially tragic episode was to resolve happily in a case of history repeating itself. There were other volunteers at the hospital, among them a student who came in after her classes at the Pedagogical Institute. Care became love and Elmira khanim welcomed Sevinj into the family as her daughter-in-law. Some 50 years earlier, her father had been hospitalised in Shamakha and had similarly met his future wife among the women who nursed him. One of Elmira khanim’s charges at the hospital was a man from Qiyasli village in Aghdam region; he had been badly wounded. He looked upon her as a mother figure, always asking for her to bathe him. One night his condition deteriorated rapidly, his kidneys had failed, and he died. 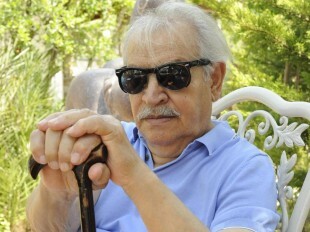 Elmira khanim flew in the helicopter that took his body back home on that fateful day, 6 November 1991. 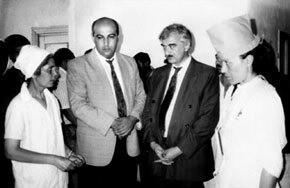 In Aghdam Hospital, meeting her patient’s father and one of his friends, she broke down, causing the head of the hospital to ask, ‘Is he your son?’ After accompanying the body to Qiyasli, she returned to the hospital and Head Doctor Colonel Ali Gurbanli asked her to stay, as they were so short-staffed. She joined the ‘family’ presided over by the paternal figure of Col. Gurbanli and it would be 1998 before she returned to her own family in Baku. As the war raged on, the workload intensified and there were enforced movements: to Zengishali village, where hospital care was carried out in adapted railway trucks, then to Garadaghli, where a school was taken over to accommodate war victims. There she worked as assistant nurse in the surgical department, in reanimation. 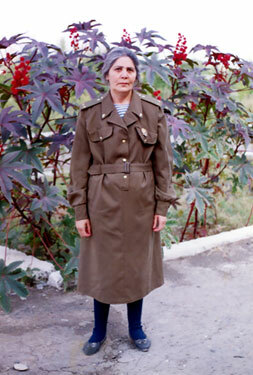 She remembers helping people from Khojaly; threatened with frost bite, they had to have their limbs soaked in cold water to warm up gradually. There were only seven of us and many, many wounded were brought in. We were overwhelmed by the numbers. Don’t worry my son, mother’s here, I will help you. 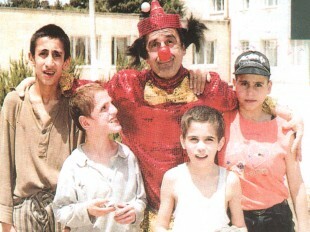 In 1995 a telegram arrived, signed by Polad Bulbuloghlu and telling her to go to Baku, to the Theatre for Young Audiences. I was worried that something had gone wrong at the theatre; had something been stolen? – That was my responsibility. There were 40 women nurses in the Aghdam hospital and sometimes we didn’t know if it was day or night. They said we walked with a scalpel in one hand and a biscuit in the other, to keep us going. The 40 women, incidentally, were also celebrated in books by journalist Zemfira Maherramli in her books Girls Go to War and A Tale of 40 Girls. If she is a mother to the soldiers, then she is my mother, too. I present everyone else with one award, but you I present with two! So how does this ‘ordinary’ woman look back on her extraordinary experiences; how did a woman in her fiftieth year come to leave the comfort of family life to serve in a war zone? You have people here now, but there are 45 other people waiting for me at the hospital in Baku. You have your father and sisters to look after you, but [in Aghdam] they have no one. In the seven years she was away, Elmira khanim saw her family two or three times a year. She allocated three days for her son’s wedding and also made the trip for the birth of her grandson, but her family and friends at the celebration of her 70 years let us know that the purpose of her return trips usually seemed to be to stock up on cigarettes, soap etc for her patients. Her own wages and donations from the family provided the funding. In 1998 a heart problem forced her to return to Baku; after a few months back at the theatre she finally retired. Last July’s celebrations offered the vision of a typical happy family gathering for their matriarch; which made the tale behind them all the more remarkable.